The range of entertainment on offer in London provided countless vibrant and enticing subjects for transport posters. 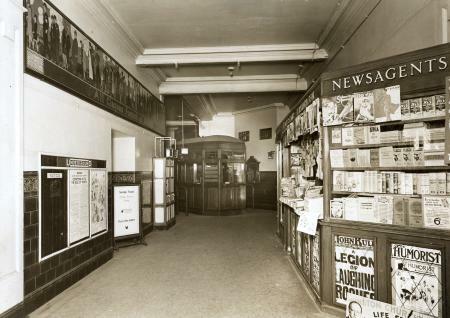 Rather than advertising specific venues or events, posters usually promoted general activities such as shopping or going to the theatre. Many aimed to encourage travel to the city in the evenings and at weekends. Others encouraged regular commuters to stay in the city after work, rather than travelling home at rush hour. In the 1930s, posters were also issued with listings of specific events scheduled for that week. 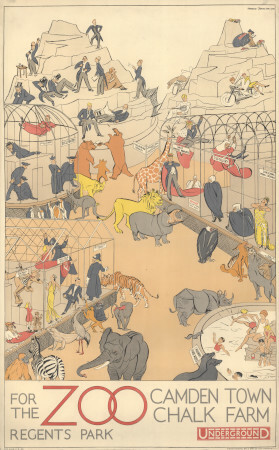 The exotic animals of London's zoos have been the subject of over 100 transport posters. 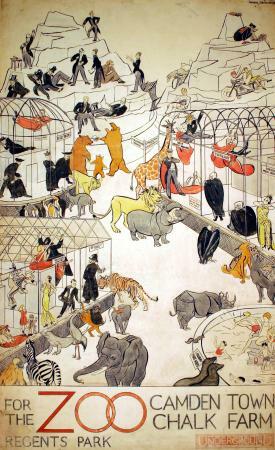 London Zoo in Regent's Park, the world's first scientific zoo, was the most frequently publicised. Ironically however, it was a long walk from any Underground station. Whipsnade zoo, where animals could be observed in a more natural environment, opened near Dunstable in 1931. Posters promoted trips to Whipsnade by the new Green Line coach services. Travel to Chessington zoo by bus was also occasionally advertised. Double royal : Double royal has been the standard poster size used by the Underground since 1908. This 40 x 25 inch format has been used almost exclusively by railway companies.